Now that spring is finally here it means that we’re one day closer to the arrival of the High Park cherry blossoms. And while we’re still weeks away from their arrival, Sakura in High Park’s latest update said the recent warm-up has resulted in some slight bud development throughout the park. 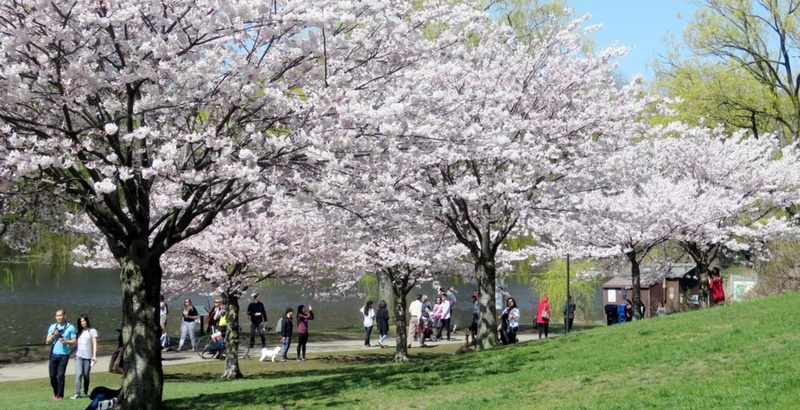 Sakura in High Park says the cherry trees “seem to be taking the temperature changes well” and large clusters of blossom buds were spotted near the sports fields and High Park Trail, also known as, cherry hill (near Grenadier Restaurant). While it’s still far too early to accurately predict when the blossoms will bloom, the average date range of mid-April to early May seems to be on track, said Sakura in High Park. With warmer temperatures forecasted for this weekend and the weeks ahead will only further aid in the bud development.